Upgraded to TNG version 9.0. New Site format. Much better organization and new features. Other Cundiff Researchers can gain access to upload their trees, photos, documents and more. Sarah Katherine Merrick-McGowan, age 62 of Cincinnati, OH, formerly of Nancy, passed away on Saturday, January 31, 2009 at the Drake Center in Cincinnati, OH. She was born on January 26, 1947 in Cincinnati, OH, the daughter of the late Leland and Wanza Combest Merrick. 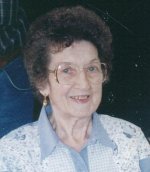 She was a retired schoolteacher with the Cincinnati Public Schools. She was a Christian and loved spending time with her family, especially her grandchildren. 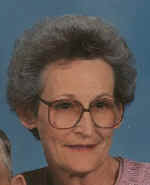 Ms. McGowan is survived by her three children, Garred McGowan of Cincinnati, OH, Cherie (and Mike) Cundiff of Alexandria, KY, and Roland McGowan of Cincinnati, OH; six brothers, Travis (and Connie) Merrick of Nancy, KY, David Merrick of Somerset, Danny (and Marla) Merrick of Jonesborough, TN, John Merrick of Nancy, KY, Sam Merrick of Chillicothe, OH, and Paul (and Joy) Merrick of Somerset; a sister, Lara Jean (and Jerry) Smith of Eubank, KY; 2 grandchildren, Michael Cundiff, Mariah Cundiff, Alexandria, KY; former husband, Lester McGowan; and host of family and friends. Preceding her in death were her parents and a grandson, Brandon Cundiff. Visitation for Ms. McGowan will be Friday, February 6th after 6 pm at the chapel of Lake Cumberland Funeral Home. Rev. Ralph Ray Sears, 85, Hunter Camp Road passed away Wednesday July 24, 2002 at Lake Cumberland Regional Hospital. He was born December 23, 1916 in the Hail Community a son of the late George Thomas Sears and Ottie (Roark) Sears. He was a W.W. II US Army Veteran, receiving the Good Conduct Medal, worked for W.P.A., was a coal miner, retired from Ford Motor Company after 27 years and was a member of Pastor of Wesley’s Chapel where he served as pastor for 54 years. Survivors include his wife, Sylvia K. (Farmer) Sears whom he married May 10, 1939 in Somerset, KY.; two sons, Rev. Stanley R. (and Charlotte) Sears, Somerset, KY. and Rev. Gary Warren (and Charletta) Sears, Cleveland, TN. ; one daughter, Sylvetta Sears (and Rev. Rodney Gene) Cundiff, Houston, TX. ; one brother, Eugene (and Rebecca) Sears, Eubank, KY.; one sister, Naomi VanHoose, Norwood, OH. ; 7 grandchildren and 9 great grandchildren. He was preceded in death by his parents; one daughter, Sue Sears; two brothers, Bernie and Raymond sears; four sisters, Bernice Sears, Irene Sears, Rilla Morgan and Wilma Wolff. Funeral services will be 1:00 P. M. Saturday July 27, 2002 at Wesley’s Chapel with family members of Rev. Ralph Sears officiating. Burial will be in Poplarville cemetery. Visitation will be from 6:00 - 9:00 P.M. Friday July 26, 2002 at the Memory Chapel of Lake Cumberland Funeral Home and from Noon until time for services at Wesley’s Chapel. 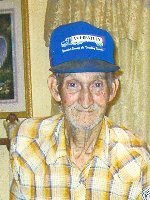 William "Shorty" Bates, Jr.,86, of 2210 Grundy Rd., Somerset, passed away February 25, 2001 at Lake Cumberland Regional Hospital in Somerset. He was born in Grundy, KY, June 7, 1914, son of the late William Bates and Olga (Packe) Bates. He was a Farmer and member of Barnesburg Baptist Church in Somerset. Survivors include his wife, Lydia Mae (Sipple) Bates, whom he married July 14, 1963, four brothers, Robert (Ina) Bates of Somerset, Johnie (Fredia) Bates of Riverview, FL, Harold (Nancy) Bates of Monroe, Oregon, Edward (Brenda) Bates of Louisville, KY, seven sisters, Leta Bobbitt, Roberta (Joe) Cundiff, Effie Callahan, Ola Jasper, Dorothy Gilliam, Marie (Jack) Sowder, Edna Mae (Loyd) Compton all of Somerset, a sister-in-law, Catherine Bates of Somerset and thirty-eight nieces and nephews. He was preceded in death by his parents and two brothers, Alton and James "Jeff" Bates. Willie Turpin, 88, of Eubank , Kentucky , passed away Monday, October 11, 2010 at his residence. He was born in Naomi , Kentucky on August 4, 1922, son of the late George and Vinnie Cundiff Turpin. He was a grounds keeper at Warren Air Force Base in Cheyenne , WY and a U.S. Army veteran. He was a member of Cheyenne Baptist Church and V.F.W. He is survived by his wife, Mary K. Padgett Turpin of Eubank, two sons, Merle Turpin of Cheyenne, WY and Johnnie & (Pam) Turpin of Eubank, two daughters, Marie & (Richard) Wade of Houston, TX and Margie & (Charlie) Yates of West Union, OH, two sisters, Cynthia Mae Turpin of Mississippi and Thelma Hamilton of Lexington, KY, ten grandchildren, twelve great-grandchildren and one great-great-grandchild. A funeral service will be held at 2 PM Friday, October 15, 2010 at Morris & Hislope Funeral Home with Bro. Donald Ashley officiating. Burial will be in Double Springs Cemetery . Tommie E. “Tom” Cundiff, age 81 of Somerset, passed away on Tuesday, February 17, 2009 at his residence. He was born on April 5, 1927 in Somerset, the son of the late Edward Swain and Millie Bray Cundiff. 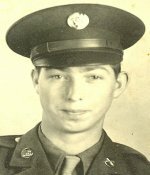 He was a retired foreman and heavy equipment operator for the KY State Highway Department and a United States Army veteran of WWII. Mr. Cundiff was an excellent carpenter, USDA Inspector for 14 years, KY Colonel, and trained KY Walking and Racking horses. Mr. Cundiff is survived by his wife, Lucille Dawes Cundiff; two sons, Bob (and Freda) Cundiff of Somerset and Paul Cundiff of Somerset; a brother, Edward Swain (and Ruby) Cundiff Jr. of Akron, OH; four grandchildren, Paula Michelle Cundiff, Robert Shane Cundiff, Ashley Cundiff, and Thomas Knute Cundiff; and eleven great grandchildren. Preceding him in death were his parents, Edward and Mellie Cundiff; a son, Roger Glenn Cundiff; a brother, Robert Murphy Cundiff; and four sisters, Mae Holsomback, Allene Cundiff, Bertie Lester, and Elizabeth Lester. The family will receive friends on Friday, February 20th after 11:00am at the chapel of Lake Cumberland Funeral Home. A Celebration of Life service will follow at 1:00 pm with Bro. David Bullock and Dr. Darrell Bartley officiating. The American Legion Post #38 Honor Guard will conduct full military honors for Mr. Cundiff. The family requests expressions of sympathy be made to Hospice of Lake Cumberland, 100 Parkway Drive, Somerset, KY 42503. 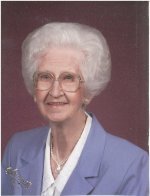 Winfred I. Cundiff, 80, Nancy, Kentucky passed away Saturday, July 23rd, 2005 at Lake Cumberland Regional Hospital, Somerset, Kentucky. He was born October 4th, 1924 in Faubush, Kentucky, son of the late Stinson Cundiff and Henrietta Weddle Cundiff. He was United States Army WW II Veteran, a farmer, member of the Sievers Lodge #491 of Nancy and the Olekia Shriners Temple. He was a former board member of the Southern States Co-Op and a member of Mt. Pisgah Baptist Church, Faubush, Kentucky. He is survived by his wife; Susie A. Potts Cundiff, whom he married on August 26th, 1946 in Jamestown, Kentucky: two sons; Paul R. (and Bobbie) Cundiff, Somerset, Kentucky and Johnnie Lee (and Jann) Cundiff, Nancy, Kentucky: one daughter; Mary June (and John) Burton, Nancy, Kentucky: one sister; Mildred Tarter, Ohio: 5 grandchildren: 3 great grandchildren. He was preceded in death by his parents: 5 brothers; Reno, Edgar, Ralph, Johnny and C. K. Cundiff: 2 sisters; Vida Roberts and Julia Floyd. Funeral services will be 2:00 p.m., Monday, July 25th, 2005 at the Chapel of Lake Cumberland Funeral Home with Brother Mitch Bradshaw officiating. Burial will be in Lakeside Memorial Gardens, Somerset, Kentucky. Visitation will be after 6:00 p.m., Sunday, July 24th, 2005 at Lake Cumberland Funeral Home. Expressions of sympathy may take the form of donations to Hospice of Lake Cumberland, 100 Parkway Drive, Somerset, Kentucky 42503 or the Gideon Bible Memorial Plan, P.O. Box 27, Somerset, Kentucky.